The crossbow is experiencing a level of popularity the likes of which it hasn’t seen since the legendary medieval days. Even during the era that followed, Queen Elizabeth I (1533-1603) and King James I (1603-1625) were said to be expert hunters with the crossbow. Just think how history could possibly have changed had today’s crossbows been available then, along with the new Plano® Manta™ crossbow case to assure their handing down from generation to generation. The growth spike in these unusual looking bows on a rifle-type stock can be attributed to many things, but leading the way is the fact that more and more states are relaxing their bowhunting regulations to make the crossbow a legal option for many archery seasons. As a result, several manufacturers have responded with state-of-the-art crossbows that are lighter, faster and more accurate than they’ve ever been. Plano has also kept up with the evolution. Manta is appropriately named after the sea rays it resembles, with their streamlined, winged forms and super efficient body parts. 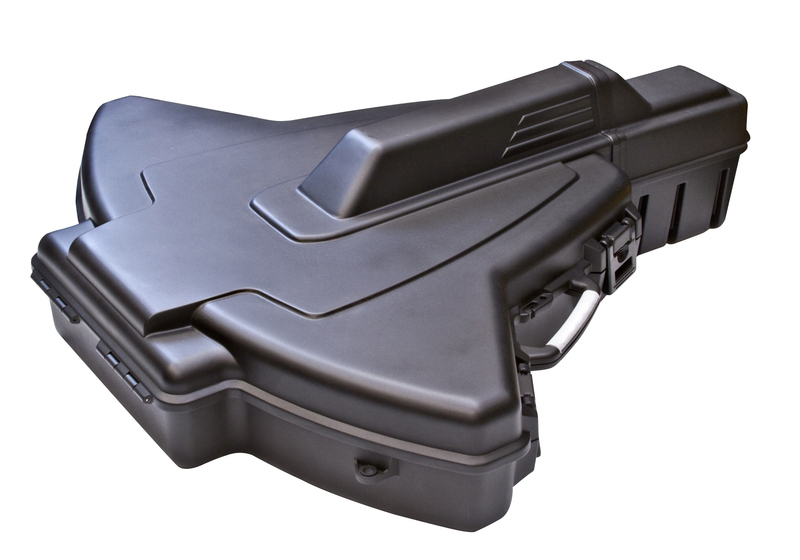 The Plano Manta is designed for versatility, meaning most any style of crossbow can be secured down into the case’s customizable high-density foam padding in key impact areas for the ultimate protection of stock and limbs. It’s multiple tie-down locations and straps inside fit crossbows of all sizes and shapes to hold them securely in place. The Manta’s “tail” adjusts as necessary for long and short tail stocks, further adding to the case’s flexibility in accommodating the country’s most popular crossbow brands and styles, including the Ten Point GT Mag, Excalibur Exomax, Darton Lightning, Horton Vision 175, Barnett Quad 400 and Ten Point Titan II. The unique case measures 44.75” long when fully extended but can be collapsed to its shortest length of 33.125” for short-stocked crossbows. Its width is 38.75” and height is 13.125” and ships at the same shipping rate as the Plano 1131 crossbow case. The case hinges at the front to open and close like a clam for easy bow placement and removal. The lid has a built-in storage area for holding bolts and a quiver. Heavy-duty latches on both sides of the tail provide positive closure. Two handles and a removable shoulder strap afford convenient options for carrying and handling the Manta. Classy looking in its sleek styling and black color, the Manta model 1133 retails for around $99.99. For more information on the Manta and to see the entire Plano lineup of products for hunting and shooting sports enthusiasts, visit www.PlanoMolding.com.